Any help picking an image for an art experiment? Hey, Oppo! I've recently come up with an idea for an art experiment for one of the walls in my room. I don't know if it's ever been attempted before, but to be fair I haven't looked to find out. Either way, I don't want to give too much away before showing off the process and product. Here's the thing, though: I'm having trouble deciding what type of image I should use. Anything goes, whether it's cars, girls, designs, anything. 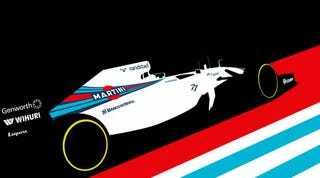 I've thought about doing a Lotus or a simple Martini design but can't come up with a decision. I'll pick the suggestion that sounds the most interesting. It helps if I can get a vector image of it (I think that's the form I need), almost like a stencil. However, I'll freehand the actual artwork.